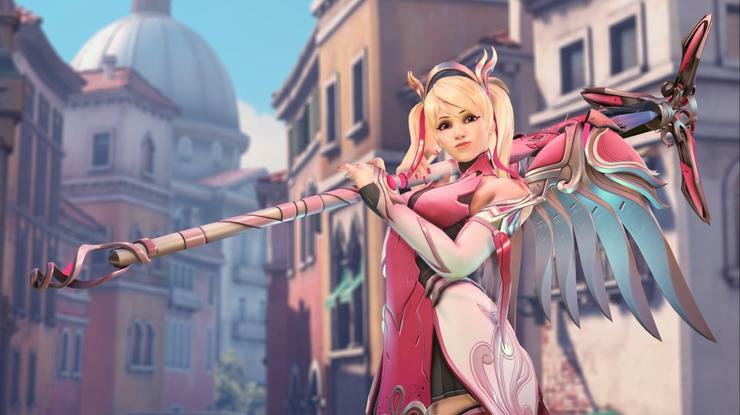 Blizzard Entertainment and the Breast Cancer Research Foundation have announced a new partnership that aims to raise money for breast cancer research by offering Overwatch players on PC, Playstation 4 and Xbox One the opportunity to purchase the new Pink Mercy skin. Priced at The new skin will only be available for purchase from the 9th to the 22nd of May. With 100% of proceeds going to the Breast Cancer Research Foundation, the partnership will support breast cancer research around the world. This includes projects currently taking place in Australia, such as new clinical trials and the creation of a large biobank of specimens for better risk prediction. To coincide with the launch of the skin, Blizzard is partnering with an epic team of Overwatch content creators to join us in our fight for the cause. Special charity streams featuring ANZ streamers KidKerrigan and Rudeism will be broadcast on Twitch.tv, with all donations taken during the stream supporting the Breast Cancer Research Foundation. Players who watch these streams will be rewarded with Overwatch sprays and player icons to show their support in-game. To learn more details on the charity event, please visit https://playoverwatch.com/en-us/blog/21758132.